Randy Quaid and Canada's Asylum System - Gateway to Canada | Canada Immigration Consultancy! It was April 2010 when Citizenship, Immigration and Multiculturalism Minister Jason Kenney recently introduced legislation to improve Canada’s asylum system. According to Mr. Kenney, these changes would result in faster protection for those who need our help and quicker removals of those who do not. 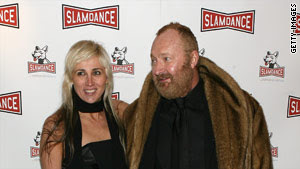 Now here comes actor Randy Quaid and wife seeking Refugee Status in Canada on ground that they fear that they will be murdered next by "the murderers of Hollywood" or "Hollywood star whackers". Randy Quaid and wife were arrested in Canada last week in Vancouver and were jailed on outstanding U.S. warrants. The couple are wanted in Santa Barbara, where they missed a court hearing Monday on felony vandalism charges. The couple denied that they are crazy and dealing with a substance abuse problem. Read more about Randy Quaid's Asylum story here. And speaking about Canada's Asylum system, the refugee application of Dr. Constancio Claver and his three daughters was found by Canadian government valid. 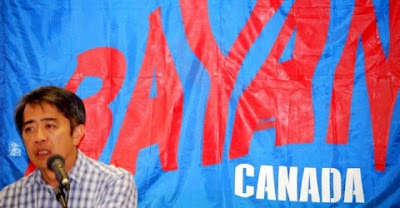 He is currently the chairperson of Bayan Canada. Dr. Claver is a Philippine medical doctor and political activist who decided to seek political asylum in Canada after surviving a brutal attack on his family several years ago in the northern province of Kalinga in the Philippines. Killing political activists in the Philippines is just like killing flies, specially during the time of President Arroyo. Under the Aquino administration, the killing continues. You may think Randy Quiad is crazy and should not be granted asylum in Canada, but in the case of Dr. Claver and his family, the fear is not imaginary.